Bellew: If Money is Right, I'll Fight Michael Bisping in Ring or Cage! 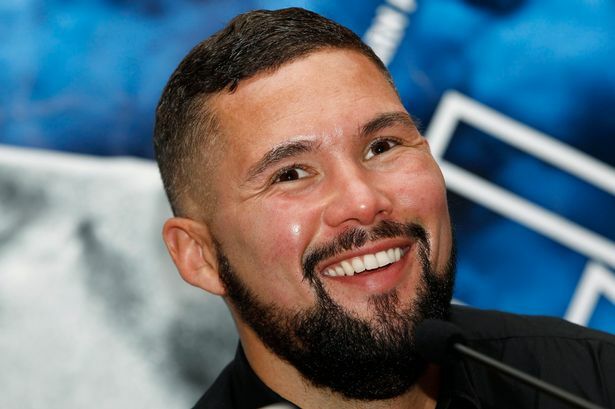 Former WBC cruiserweight champion Tony Bellew is ready to cash in on the latest cross-sports craze - boxing vs. mixed martial arts. Last week, Bellew made it clear that he would never face UFC champion Jon Jones for any amount of money. But, he would certainly consider the possibility - if the money is right - to take on his countryman, UFC champion Michael Bisping. Bellew is a big fan of Bisbing, but he's willing to put his friendly feelings aside for the right money - and he doesn't care if it happens in a boxing ring or in the UFC cage. He feels that he can squeeze down to the UFC middleweight limit of 185-pounds. Bellew's last fight took place at heavyweight back in March, when he knocked out David Haye. Bellew believes that he's got enough in his arsenal to face Bisbing. "I can wrestle, I can grapple, I punch hard, I can kick and I've got some kickboxing experience," Bellew told Sky Sports. "You can forget about me getting in the cage with Jon Jones [UFC light-heavyweight champion] - not a chance. "But if you're asking if I would get in the cage with a puncher in the UFC? Mike Bisping is a guy who is predominantly known as a puncher and he's a very strong wrestler as well. I think I could get down to 185[lbs]. If the money is right, then Tony Bellew would happily enter a cage or a ring. Maybe let's do one of them each. I'm a Michael Bisping fan, but if the money was right then the fan stuff goes out the window." The biggest Boxing vs. MMA showdown takes place next Saturday night, at the T-Mobile Arena in Las Vegas, when 40-year-old Floyd Mayweather Jr. snaps a two-year retirement to face UFC lightweight champion Conor McGregor. The fight will be carried by Showtime Pay-Per-View and Sky Sports. The mighty Bisping demonstrating his signature head to canvas distraction technique.